We sat down with Blanchard to talk about what inspired his music for BlacKkKlansman, his career-defining collaboration with Spike Lee, and why this movie speaks to what is happening in America today. How did you end up working with Spike Lee? 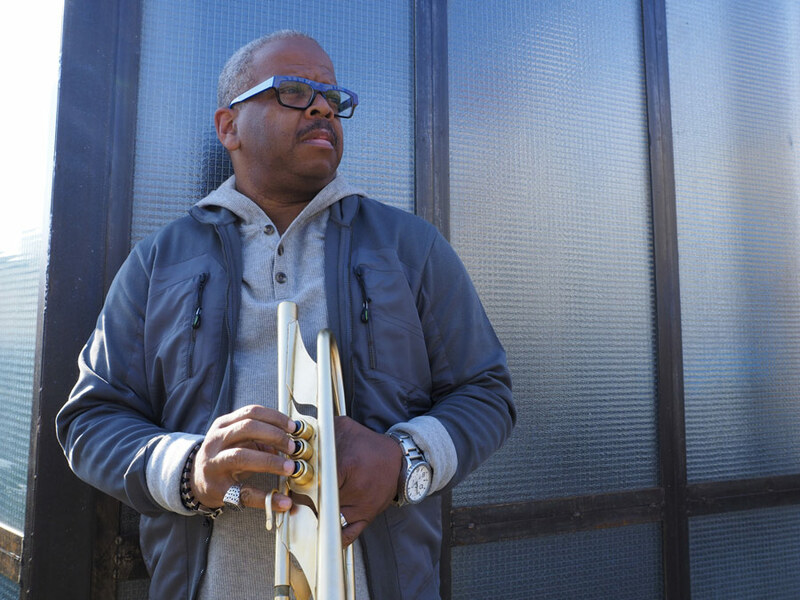 When I was a session player on School Daze (1988), Spike called me in to coach Denzel Washington on Mo’ Better Blues [in which Washington plays a jazz trumpeter]. Spike heard me playing something on the piano and he wanted to use it in the film. Then he asked me to write some original music for a scene. That’s how it all started. After so many projects, you must really understand how he works. In many ways, Spike is not like other directors. He is not a big fan of underscore. While he wants the score to enhance the scene, he really wants strong melodic content. Understanding that early on allowed me to grow up in his vision. With each project he puts a lot of trust in me. For Spike to trust you that much, it makes you work even harder because you don't want to let him down. With every film, I try to find strong thematic content. When we first started working together, he told me, "I want people to walk out of the theater humming the theme." When you started writing scores, were there composers you listened to? 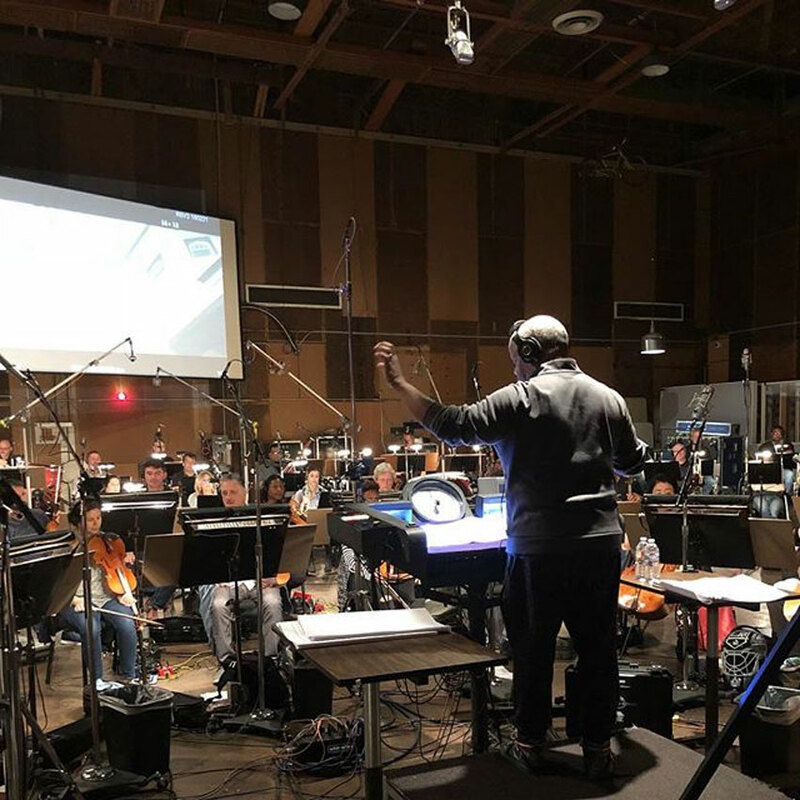 When I first started working with him, Spike said he liked the scores for Spartacus [Alex North] and Glory [James Horner] I remember listening to those two, but then I just started focusing on orchestration and arrangement. That is the thing that really helped me grow. How to use the orchestra to its greatest strength. And what instruments to bring in to add color or texture. What was the conversation like when Spike approached you about BlacKkKlansman? He told me he wanted an R&B band for the score, which was fine by me. I have an electric band [The E-Collective] that I've been playing with for about 3 years now. It was perfect for the score. Had you heard about Ron Stallworth’s story before reading the screenplay? No, not at all. At first, I thought this was some made-up Spike Lee thing. But when he told me it was a true story, I couldn’t believe it. I am from New Orleans. David Duke does not live that far from me. Working on this project was personal and cathartic in a lot of ways. Did the fact that it’s based on a real story influence the score? The film continually changes tone, from playful to suspenseful to political. How did you incorporate those shifts in the score? The film is set in the seventies. How did you signal that musically? At the end of the movie when Ron Stallworth is on the chase, the first thing I thought about was all those TV shows I watched as a kid. The wah-wah guitar was a huge sound back then and used to great effect in action sequences. The way Spike shot the film, you are transported back in time the second you see it. So when we played, I asked the band to step back in time. Our challenge was not mimic Hendrix or the wah-wah sound, but to have just enough of it so that people would think, "Ok, I get that." How do you work with Spike? Do you work from the screenplay or do you need to see a cut of the film? When Spike sends me script, I will read it to get some ideas. But you can’t start scoring until you see stuff. When I worked on Summer of Sam, there was a scene with John Leguizamo and Mira Sorvino having an argument and Leguizamo gets out of the car. And then there is just this shot of an empty car seat. That was not in the script, so there is no way I could have scored that without seeing the film. In an interview, when some guy kept asking Spike, “Why didn’t you do this,” he just turned and said, “Hey man, that’s your movie.” When I read the script, that's my movie in my mind. I can get excited about coming up with material, but I have to wait to see the actual movie before I can start to score. When we first started working together, Spike told me, "I want people to walk out of the theater humming the theme." While you score movies, you also have a whole other life as a jazz performer. How do these two worlds influence each other? In lots of ways. I have an electric band now because I started messing around with electronic instruments early in my film career. When you are writing for film, you can be extremely creative but the score has to stay within the context of one story. That has allowed me to look at my shows and records in the same way. My latest album Live is about gun violence in our country. When I am playing music from that album now I try to stay with that one idea. The thing that jazz has done for my film career is allow me to improvise and come up with ideas very quickly when I'm in a studio and the director changes his mind about a scene. BlacKkKlansman is set in the seventies. How do you think it is relevant to what is happening today? I am 56, so I remember thinking when Jimmy Carter was president that all that racist stuff was behind us as a nation. To see it grow like it is now is to be reminded that we can never let our guard down in terms of bigotry. What makes the movie so powerful and timely is that we are seeing the attitude portrayed in the film rearing its ugly head now. At the same time, the film reminds us that even when we as a nation fall asleep at the wheel, we always come together for the greater good. We may not agree all the time but at the end of the day we are all God’s children.